Victims of last summer’s Danforth handgun attack in Ontario, Canada, are calling for an “assault weapon” ban. The victims pushed to ban “assault weapons” on February 22, the seven-month anniversary of the attack that killed two. Breitbart News reported that the shooting occurred at 10:00 p.m. local time, when 29-year-old Faisal Hussain calmly walked down the street while shooting at random individuals with a handgun. 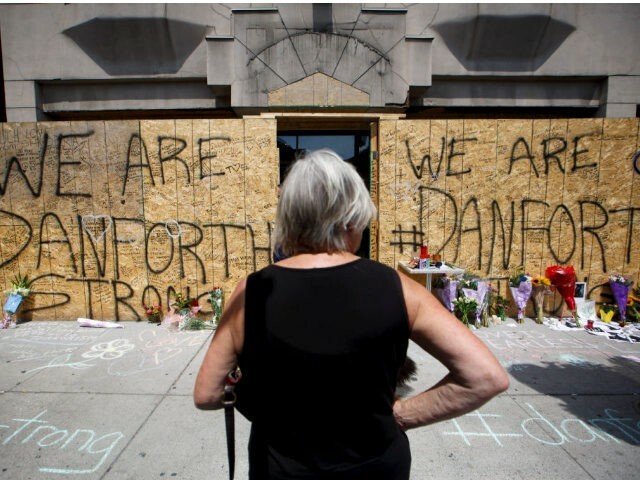 CityNews reported that Danforth victims called for the “assault weapon” ban. They also called for an end to private ownership of handguns. Ironically, a ban on “military assault weapons” would not have prevented the Danforth shooting, as the attacker used a handgun. Even more ironic, the attacker who shot and killed five at the Chicago-area Henry Pratt Company on February 15 had been barred from possessing a firearm of any kind. That ban on firearm possession did nothing to prevent his criminal use of a gun.